Join author Michael Walker on Saturday, September 16, 2017 at Carlsbad’s Dove Library as he discusses his book Laurel Canyon: The Inside Story of Rock-and-Roll’s Legendary Neighborhood and shares the inside story of an unprecedented gathering of musical talent in Laurel Canyon during the 60s and 70s. Over thirty years later, the canyon’s eclectic hits continue to have immense influence on pop culture and the music industry. The event begins at 2 PM. 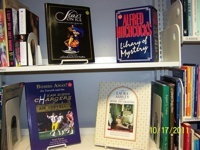 The Dove Library is located at 1775 Dove Ln, Carlsbad, CA, 92011. Books will be available for sale and signing. For more info click the link. 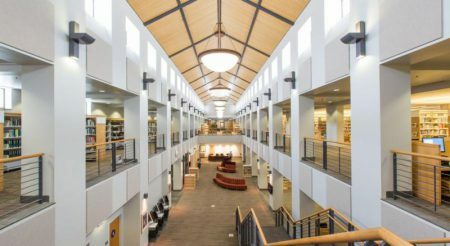 On Saturday, June 25, 2016 the City of Carlsbad will be celebrating the grand re-opening of the Dove Library after what seems like months of renovations and upgrades. The opening will be “celebrated with a community appreciation event” from 10 AM to 2 PM. Stop by for tours, live music, children’s activities and more! For a complete schedule of events, please follow the jump. The Friends of the Carlsbad Library will be hosting their Spring Better Books Sale on Saturday and Sunday April 20-21, 2013 at the Georgina Cole Library Community Room at the Dove Library. There are beautiful art books, cookbooks, books of current and classic fiction, coffee table books, gardening and design books, travel, sports, music, history, biography, children’s books and many other categories to select from. They are all very affordably priced, so now is the time to choose your reading material for the longer spring days! There really isn’t a better place to pick up quality books at a more economical price, and all the profits from the sale go back directly to library programs. The Dove Library is located at 1775 Dove Lane, in Carlsbad, Califonia. For more information follow the jump. 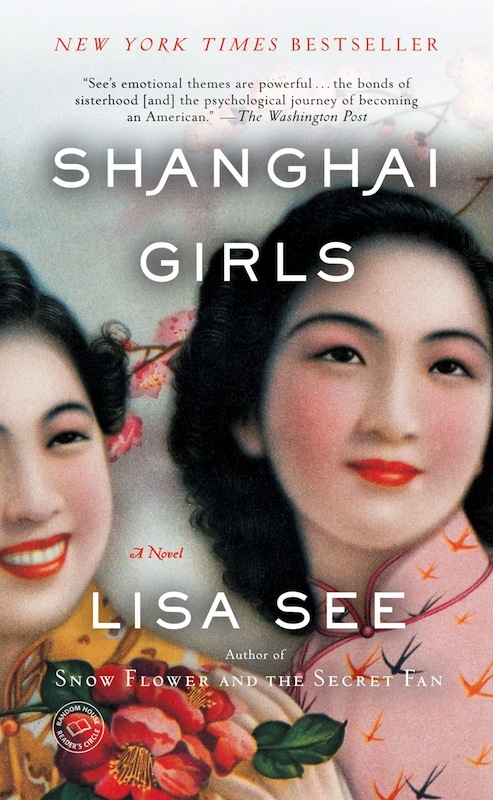 This April (2013) the Carlsbad Library’s ninth Carlsbad Reads Together program is diving in on Shanghai Girls, by Lisa See. Lisa See is the New York Times bestselling author of Peony in Love, Snow Flower and the Secret Fan, and Dreams of Joy, as well as the critically acclaimed memoir On Gold Mountain. She will give a free talk and signing on April 13 at 2 p.m. at Carlsbad City Library’s Ruby G. Schulman Auditorium, located at 1775 Dove Lane. 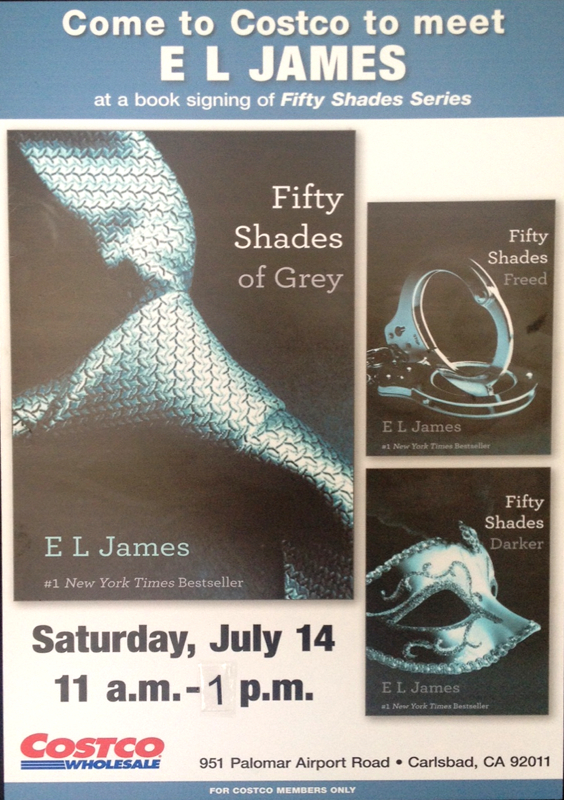 E.L. James, the author of those dirty little books the “eat pray hike” crowd just can’t get enough of will be in Carlsbadistan at Costco on Saturday, July 14, 2012 from 11 AM to 1 PM signing copies of her Fifty Shades of Grey trilogy (really?). Guess there are worse things than spending your Saturday nooner at Costco with a bunch of heated up middle-aged Carlsbadistan women, right? Come to Costco, indeed. The Carlsbad Costco is located at 951 Palomar Airport Rd. 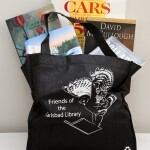 On August 6-7, 2011 the Friend of the Carlsbad Library will be hosting a sale of books that have been donated to the library. In addition to a huge variety of almost-new books at used-book prices, this mid-summer event will feature collector comic books, vintage newspapers and magazines, signed volumes, leather-bound editions, games, puzzles and much more. . . As always, there will be hundreds of coffee-table books and other fine volumes at a fraction of retail price. They will include books on art, nature, photography and history, as well as cookbooks, craft books, children’s books and hardback copies of recent best-sellers. It’s been a years since we’ve read Victor Villaseñor’s Rain of Gold yet we’re still haunted by the story of the skinned steer running up the mountainside. In fact, that’s one of the few things we remember about reading the book, though at the time we remember finding at least the first half of the book amazing reading. 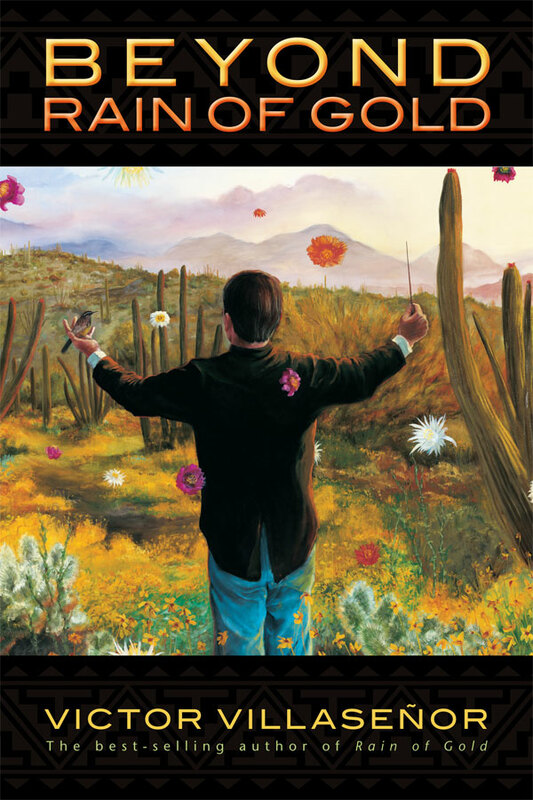 Villaseñor’s connection with the Spirit World continued to deepen, awakening him to the ongoing miracles inherent in everyday living. He discovered that his life had suddenly taken on a magical quality, with events occurring that transcended the boundaries of what is normally considered “reality.” Beyond Rain of Gold encompasses the magical messages that Villaseñor’s indigenous ancestors told him are universal themes common to native peoples everywhere on this planet . . . and at one time we were all indigenous. The reading begins at 7 PM in the Ruby G. Schulman Auditorium, 1775 Dove Lane, Carlsbad. Books will be available for purchase at the library. 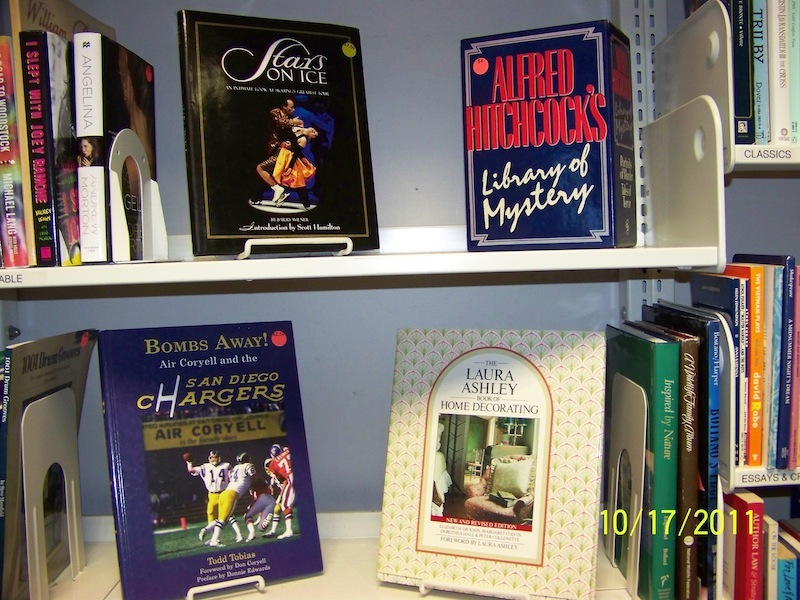 The Friends of the Carlsbad Library will be selling off extra books on October 2-3, 2010 as part of their Fall Better Books Sale. 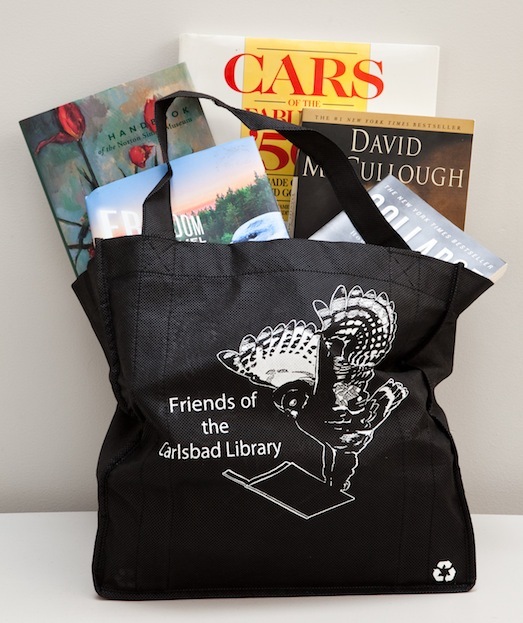 It will feature the best of the best – hundreds of nearly new volumes that have been culled from donations to the Friends of the Library bookstore throughout the year. . . “This year’s selection is outstanding,” said Devora Lockton, coordinator of the event, as she prepared items for the sale. . . The event will offer hundreds of coffee-table books and other fine volumes at a fraction of retail price. They include books on art, nature, photography and history, as well as cookbooks, children’s books and hardback copies of recent best-sellers. Sale hours are 9 a.m. to 4 p.m. on Saturday, Oct. 2. The sale will continue from 1 to 3 p.m. on Sunday, Oct. 3, when all remaining books will be half price. From the looks of that stack of books Kitty McMahon and Devora Lockton are organizing it would appear that there will be enough copies of Dan Brown’s The Da Vinci Code to go around. For the rest of the details, follow the jump. The Children’s Department of Carlsbad City Library received a check for $1,500 from the raffle of a handmade quilt at the Friends of the Carlsbad Library’s Better Book Sale in May. The quilt was sewn by Caroline Barnes in memory of Connie E. Costantino, a former children’s librarian. 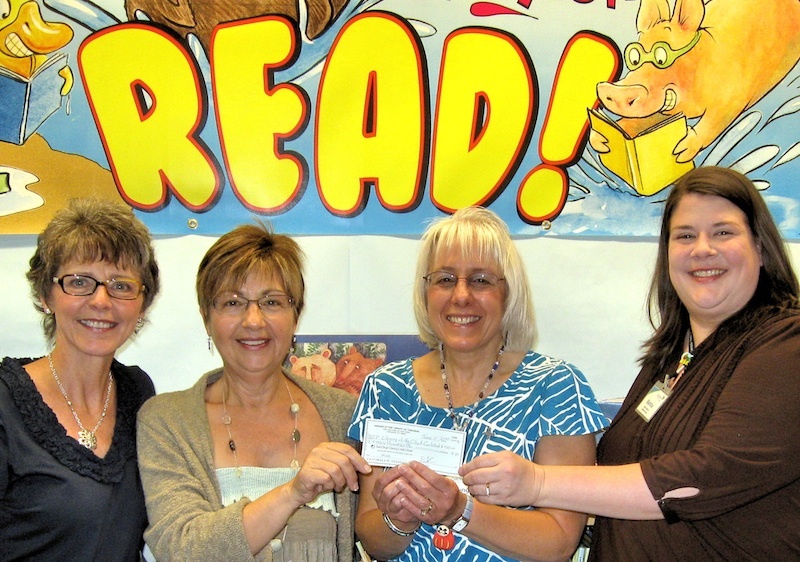 From left, Vicky Tarulis, a member of the Friends of the Carlsbad Library board, and Anne Linehan, a member of the Carlsbad Library and Arts Foundation board, presented the check to Barbara Chung and Marsha Weeks, both senior librarians in the library’s Children’s Department.